This evening Co-operative MPs will call in Parliament for the release of data revealing which parts of the country are being targeted by high-cost lenders, and which have been abandoned by big banks as a result of branch closures. This evening, Co-operative MPs will introduce proposals in Parliament to release data on lending black-spots, revealing exactly which parts of the country are being targeted by pay day and other high-cost lenders, and well as those being abandoned by big banks as a result of branch closures. Parliament will debate an amendment to the Financial Guidance and Claims Bill, tabled by Co-operative Party Chair Gareth Thomas. Building on Gareth’s work on the Bill earlier this year, his amendment calls on the new financial guidance body being created by the Bill to also be tasked with producing ‘an annual assessment of the levels of different types of lending across the United Kingdom by district’. Such data would provide a detailed picture—on a community-by-community basis—on overall levels of lending, as well as a breakdown of the types, including high cost short term credit, hire-purchase agreements and other types of loans. Why does this lending data matter? We know that up and down the country, lower-income households and small businesses are being under-served by the big banks which dominate the UK financial sector—but campaigners and policymakers need a fuller picture of where and how. As the ‘Big Five’ banks such as Barclays, Lloyds, RBS and HSBC close branches and abandon poorer communities, less scrupulous lenders invariably move in. 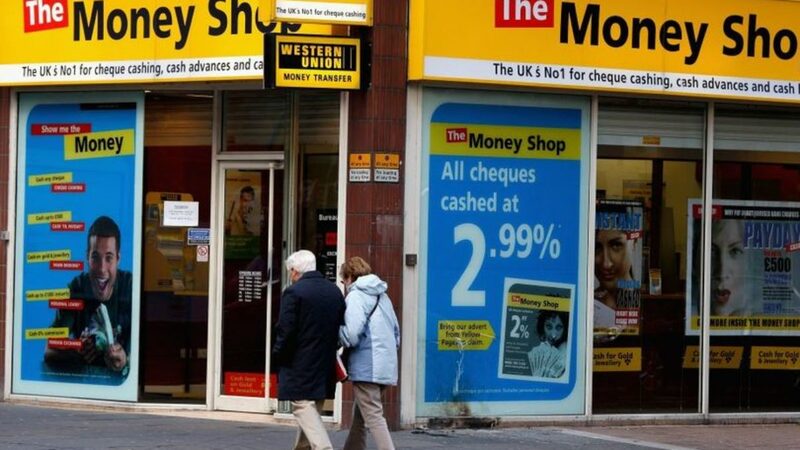 This means already hard-pressed communities end up on the hook to ‘legal loansharks’ such as Money Shop and rent-to-by firms like BrightHouse. The result can be households stuck on a treadmill of high-cost debt that piles up into the hundreds of percent, and local businesses unable to access the affordable credit they need to expand and build strong, sustainable local economies. ‘Lending data disclosure’, as its known, would enable councils and others to identify areas at risk of financial exclusion, and to identify where more affordable credit providers such as credit unions could step in. It would be a shot in the arm for competition, too, as the data would enable so-called ‘challenger banks’, mutuals and other types financial institutions to identify communities abandoned by the Big Five, where there could be unmet demand. In the US, lending data has long been used to create a more diverse banking system. Since 1977, the Community Reinvestment Act in the US has required US financial institutions to work proactively to prove that they are meeting the credit and financial needs of all segments of the community, and that they are ‘reinvesting’ in all communities in which they accept deposits. Under the Act, banks are required to publish detailed lending data, and to allocate a sufficient amount of resources to community reinvestment and development. This can either be through opening branches themselves in under-served areas, or by making a financial contribution to credit unions, financial inclusion charities and other bodies who do. Banks are subject to scrutiny from regulators including the Office of the Comptroller of the Currency (OCC), the Board of Governors of the Federal Reserve System, and the Federal Deposit Insurance Corporation (FDIC) who evaluate their performance in fulfilling their obligations. Prior performance is then taken into account when these regulators decide whether to approve banks’ expansion plans, mergers or potential acquisitions. All this contributes to a banking system in which banks who serve the ‘real’ economy as a whole are rewarded, while those who are unwilling or unable to put the short-term interests of bank shareholders ahead of social responsibility are required to make things right. The measures have seen the US arm of banking giant Santander announce that it will increase community lending by 50% to $11bn this year. Notably, no similar commitment is being made in the UK. The Co-operative Party amendment will be debated later today as part of the Third Reading and Report stage of the Financial Claims and Guidance Bill. You can watch it online here (from around 6:30-7pm). Co-operative Party MPs are hopeful of forcing a division—i.e. a formal vote—on the amendment which will give all MPs the opportunity to stand up and be counted in their support for a fairer, more diverse banking system in which no community is left behind or faces financial exclusion. We’ll keep you updated on what happens.